Since immigrating to the United States, Yohana has established Kushina Catering as a favorite ethnic food vendor for clients ranging from her weekly farmer’s market visits to major corporations. Her passion for fresh, authentic cuisine made with the best ingredients and her passion for helping others has earned her a loyal following. 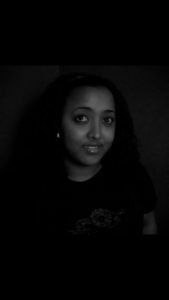 In addition to Ethiopian food, Yohana specializes in Italian, Indian, vegetarian and gluten free menus making her a sought after choice for clients wishing to cater to diverse guests.